If you are a Windows Phone user, it’s more than likely that you are anticipating Windows Phone 7.8 and 8 – 7.8 if you intend to keep your current phone, and 8 if you plan on picking up a new device. Windows Phone 7.8, of course, is an update for current handsets to receive the new Windows Phone 8 homescreen. In the coming versions of Windows Phone, tiles will have new sizes, including a much smaller unit, allowing for much more diverse and powerful layouts. That in mind, if you want to get a jumpstart on playing with how you will set up your home screen once the new software lands, there is an application out just for you. You can snag the app in the Marketplace here. There is much good to be said about the new home screen options, mostly that more power and customizabiltiy are nearly always things to be applauded. However, I have an itching worry that clutter could quickly become a serious issue. Those smaller tiles are truly pequeño, which could diminish their use as true Live Tiles. This will be a trial and error sort of situation, but for now I remain a touch skeptical. Of course, users can simply avoid the issue by not picking the smaller squares. 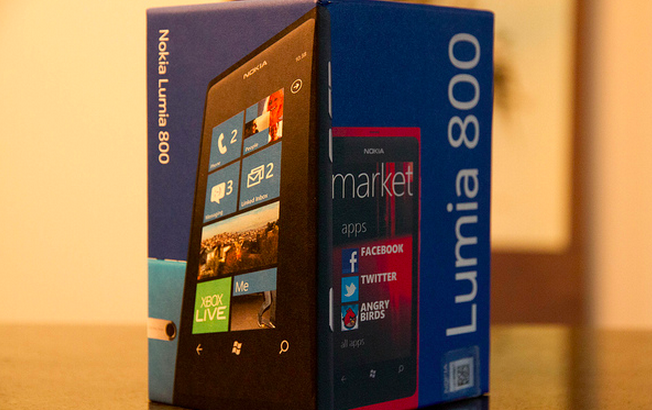 You can expect Windows Phone 8 and 7.8 in November.